Those new to the real estate industry can easily get caught up in all the business entails: finding the right brokerage support, determining the best marketing tools, going out and finding business, etc. Once the funds start rolling in, however, there’s another aspect of their real estate career that they may not have thought of: taxes. Agents are typically categorized as independent contractors or self-employed. Because of that, there are specific tax measures they must follow. The biggest change from those working a staff job? Estimated taxes. As real estate agents are not subject to tax withholding, they are required to pay estimated taxes to the Internal Revenue Service (IRS) on a quarterly basis. In addition, the recent Tax Cut and Jobs Act introduced some changes to the tax law that could significantly impact the way agents file their taxes. According to the IRS, those on a company’s payroll get their Social Security, Medicare and income taxes taken out of their paychecks. Real estate agents, however, do not. Therefore, any agent (sole proprietor, partnership or LLC) that expects to owe $1,000 in federal taxes from their real estate business needs to pay quarterly estimated taxes. How Much Needs to Be Paid? While agents shouldn’t overpay so they can earn interest on their earnings, rather than having the IRS use their money as a pseudo loan, it’s important that enough funds are set aside for each quarter. To be safe, agents should pay either the same amount or 10 percent over what they paid the previous year, or 90 percent of the amount they will owe for the current full year—whichever is smaller. Those who are high-income earners will be better off paying slightly over what they paid last year to avoid underpaying. The best option, however, is to consult a tax specialist. 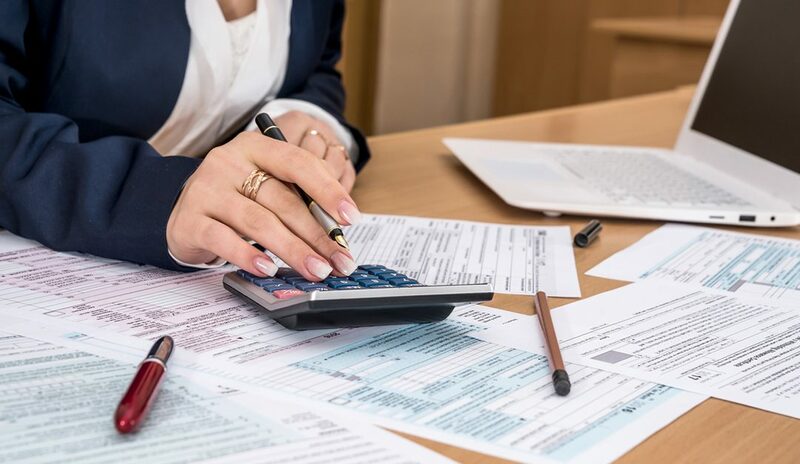 Every situation is different, and agents will want someone who is well-versed in tax law to help guide them, especially if their situation requires them to calculate tax payments in more complex ways. Agents can use the Electronic Federal Tax Payment System (EFTPS) to pay their estimated taxes. This system allows users to keep track of their payments to ensure they’ve paid enough. In addition, they can also pay weekly, biweekly or monthly if they would like to submit payments on a more consistent basis rather than quarterly to ensure they don’t forget about estimated taxes. The IRS also provides other ways to pay online, by phone or by mail. Agents will have to fill out the 1040-ES (Estimated Tax for Individuals) form. What Happens If Estimated Taxes Aren’t Paid? Come the April 15 tax deadline, agents could face costly fees if they do not pay enough in estimated taxes. It’s essential that upon starting their career, agents get in the habit of saving a sufficient portion of their earnings to be used for estimated taxes. Deduction for Qualified Business Income: The corporate tax rate was reduced from 35 percent to 21 percent. The biggest change impacting real estate, however, is the 20 percent pass-through deduction, for which agents typically qualify, according to recent clarifications by the IRS. No Deductibility of Entertainment Expenses: Various previously-accepted business expenses can no longer be deducted from taxes, including any activity that falls under the entertainment, amusement or recreation categories. The most important step? Agents should hire a tax professional. They will help ensure they save all of the pertinent information required to file taxes and to calculate their estimated tax payments. In addition, they are the best source for helping real estate professionals make the most of the relevant deductions that can save them money. Secondly, receipts can drastically alter an agent’s tax filing. Saving receipts should be a year-long effort to guarantee a maximum return that takes advantage of all the business-related expenses agents incur. Real estate agents should track everything from their home-office expenses, costs related to transportation and expenses incurred from business marketing and continuing education/coaching, and more. Real estate professionals can visit the Businesses and Self-Employed section of the IRS website for information on deductions, filing and estimated taxes.